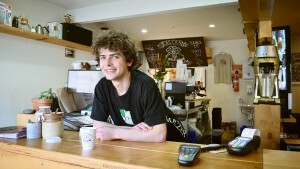 Business Cash Advances Are Your Best Alternative To Small Business Loans Or Unsecured Business Loans. Qualifying for a business loan in today’s economy is difficult. A typical business loan involves many hurdles for a small business owner, including: excessive paperwork, a lengthy approval process, low approval rates, collateral and personal guarantees for security, fixed monthly payments, and restrictions related to use of funds. By comparison, Global Merchant Services business Cash Advance offers a streamlined process that provides a simple one page application and immediate unsecured funding from $ 3,500.00 – $ 1,000,000.00. You will further benefit from high approval rates, minimal credit requirements, and a flexible repayment process that is directly tied to your business’ sales volume. All of these features provide you with immediate access to funds that you can use for any business purpose. You may qualify for up to 85-250 % of your monthly credit card processing sales volume, and use the funds for virtually any business purpose. Find Out Why 85% Of Eligible Customers Renew…. Global Merchant Services goal is to help small and mid-sized business owners by providing a simple and convenient alternative solution other than a traditional business loan. 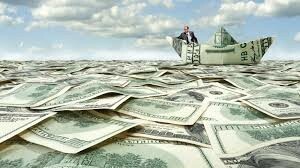 Global Merchant Services business Cash Advance provides a real solution for business owners faced with the reality of disappearing sources of working capital. Traditional sources of capital, such as bank loans, home equity loans, and credit card loans, are no longer options for many businesses. Our service provides a flexible, hassle FREE solution for millions of small business owners that need access to immediate working capital today that may not qualify for a traditional business loan. Global Merchant Services offer several different programs to fit your specific needs. Global Merchant Services business Cash Advance converts your future Visa and MasterCard receivables into immediate cash that you can use for any business purpose. Repayments are based on a small fixed percentage of your future Visa and MasterCard receivables. Payments are automatically applied to your remaining balance until the balance is satisfied. Unlike a business loan, our service is aligned with the success of your business: Since repayments are linked to your Visa and MasterCard Receivables, We Do Not Get Paid Until You Get Paid, thus helping you manage the cash flow of your business, especially during slower months. Benefits Of A Cash Advance Versus A Business Loan!!! To find out which program is best for you, simply APPLY NOW with Global Merchant Services and receive your FREE, NO Obligation Quote within 24 hours. Join thousands of small business owners who rely on GMS instead of a business loan for immediate access to working capital. 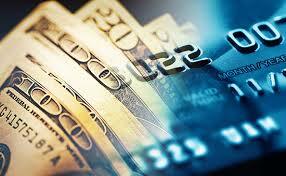 DISCOVER GLOBAL MERCHANT CASH ADVANCE SOLUTION!